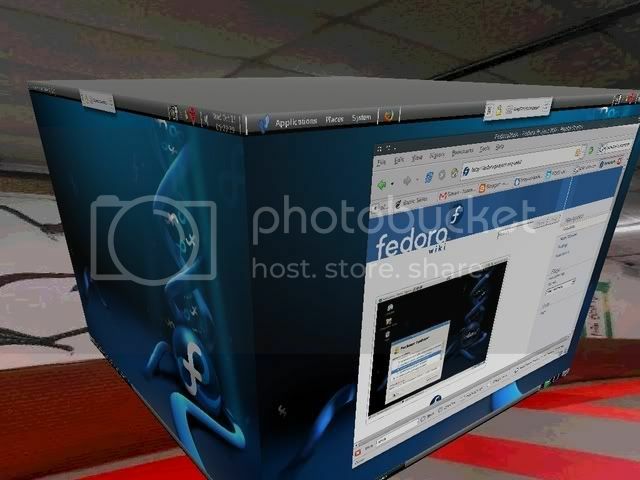 after I-Hack, I've upgraded my FC5 lappy to FC6 Test 2 (Now test 3) ... it got compiz in d core package set!!!! ... Gladly i'm using Intel chipset with Intel 855GM gfx card , i can set-up Xorg very easiliy ... I've mangled around with compiz ... even tried compiz-quinn with krh's AIGLX patch ... now using beryl (compiz-quinn renamed .. they forked compiz and create their own development tree) all the time .. love it~!